Young Voices of Europe | Dungavel Detention Centre Closure – a New Beginning for Asylum Seekers in Scotland? Dungavel Detention Centre Closure – a New Beginning for Asylum Seekers in Scotland? You can tell a lot about a country by the way it treats asylum seekers whose applications have been rejected. Often these people are held like criminals with no rights, safety or a place to call home. In Germany those who do not leave voluntarily lose the right to visit the country in the future and may have to pay over 100 euros for their deportation cell daily. In Hungary, the detention centres hold pregnant women and children for long periods, often denying them basic rights; irregular entry has become a crime, punishable by up to eight years in prison. While last year the UK promised to take more refugees and to provide special accommodations for child refugees, the new prime minister Theresa May has consistently opposed more support for asylum seekers coming to the UK and for those whose asylum application has failed. One example is her voting against giving asylum seekers permission to work if a decision on their application takes over six months. This has resulted in two different approaches to failed asylum seekers – in Scotland and in the rest of the UK, although the Scottish Government has no legal control over the Dungavel detention centre. Also, while the UK claims to uphold the minimum standards according to EU law for rejected asylum-seekers, there have been reports of human rights abuses and stories about nightly raids on detention centres. The UK also continues to be the only country in the EU where there is no cap on how long someone can be detained under immigration powers. Many NGOs, churches and trade unions have had their access denied to Dungavel with as consequence that often detainees had no access to their basic legal rights. Former residents at the detention centre speak of prison-like conditions. Although changes have taken place within the centre, such as banning child detention (in 2006), reports of human rights abuses have continued and the Scottish Human Rights Commission has advised for a major review into the centre. In the beginning of September it has been announced that Dungavel, Scotland’s sole detention centre for failed asylum seekers will be closed. As for years there have been protests against and investigations into the centre, the planned closure has been hailed as a great success by NGOs such as Amnesty International. However, what happens next is unclear; it has been reported that a new holding facility will be built near Glasgow Airport and opened in late 2017, which may mean even more uncertainty and less time to challenge a rejected asylum claim. Angela Constance, Communities Secretary has already stated that ‘The Scottish government has long campaigned for the replacement of Dungavel with a more humane system, however, by introducing a rapid removal facility there is a real risk that people who have been living in Scotland will either have their opportunities to challenge their deportation restricted or be taken to immigration removal centres far away from their families, friends and legal representation…This move could make it considerably more difficult for them to pursue their cases and have serious impacts on their mental health.’ For Scotland, what will happen is of great importance, because despite the centre being based in Scotland, the UK Government is in complete control of the Dungavel detention centre. The recent Brexit vote has caused extra uncertainty as it has become unclear how human rights will be handled in the future. Currently the detainees can take their case to the European Court of Human Rights (ECtHR) in Strasbourg, but this may change in the near future. Even though the UK will still be bound by the European Convention on Human Rights (ECHR) after Brexit, the Conservative Party in its 2015 election manifesto 2016 party vowed to replace it with a British Bill of Rights. Then again, Theresa May recently confirmed that the UK would be staying in the ECHR. This would be a good thing, not only for asylum seekers. 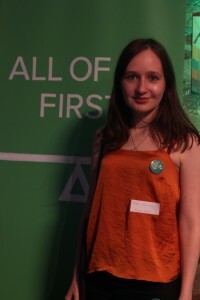 Kate Samuels (1990) is based in Scotland and is the International Officer for the ‘Scottish Young Greens’. This article has been categorized in Uncategorized and is tagged wi asylum seekers, detention centre, Dungavel, EU, Scotland, UK. TV Licensing in Greece: Concealed Censorship or Appropriate Solution?